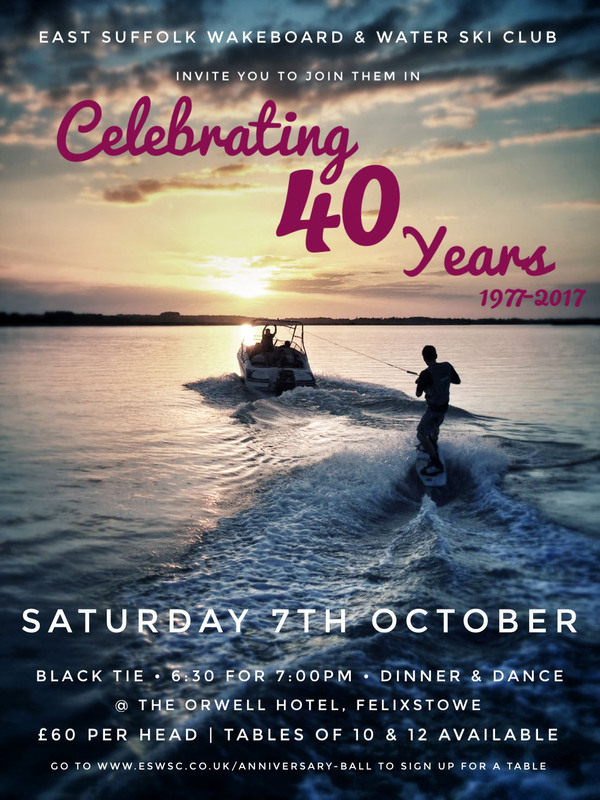 East Suffolk Wakeboard & Waterski Club would like to invite you to attend our 40th Anniversary Celebrations on Saturday 7th October 2017 @ the Orwell Hotel, Felixstowe. If you would like to attend please put down your name for a table using the form below. 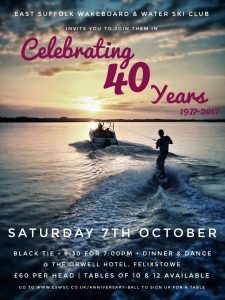 Tables are expected to sell out fast so don’t miss the boat & book yours now! Once your table & meal choices have been confirmed you will receive your tickets in the post. A Limited number of single tickets are available please contact social@eswsc.co.uk directly for these. Please fill in your requirements below.